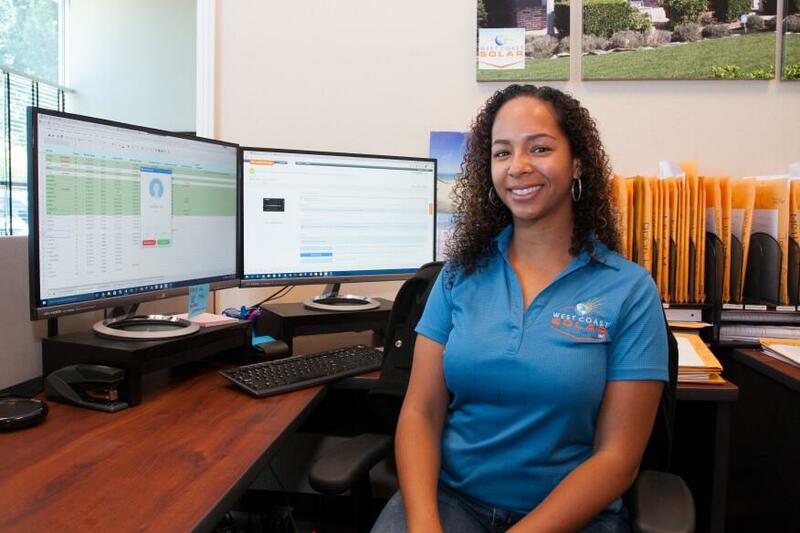 Meet Robin, our Install Administrator | West Coast Solar, Inc. The team at West Coast Solar is committed to making solar simple, and our staff support helps us meet our goals. Today we would like to introduce you to Robin Murray, our install administrator. Robin joined us in early 2016 and her typical day includes scheduling system installations in Brentwood and Sacramento and uploading documents and photos of each installation. Her favorite aspect of the job is mapping out a digital layout of each customer’s solar system online. She likes to see the system come to life on the screen, and this helps us and our customers track production. Originally from Antioch, Robin now lives in Bay Point. After studying at Los Medanos Community College, she transferred to Southeast Missouri State University and received her bachelor degree in general studies. Prior to joining West Coast Solar, Robin worked at Walnut Creek Medical Group, a group of internal and primary care physicians in Walnut Creek. When she’s not at work, Robin enjoys being outdoors and plays on a co-ed softball team on Tuesday nights in Brentwood.